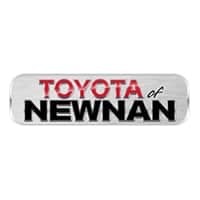 When you want to work with a dealership that values the entire ownership experience, look no further than Toyota of Newnan. We take pride in offering something for every type of driver, whether it’s a rugged Toyota Tundra to get the job done or a Toyota RAV4 SUV for those who enjoy weekend getaways. Before you decide on either of these models though, get behind the wheel for a test drive. Researching our new inventory online is an excellent idea, but only a test drive will truly tell you which Toyota model is right for you. A test drive allows you to get a feel for the car’s handling and power and even the entertainment system. Test driving a new 2018 Toyota Corolla at Toyota of Newnan is also a great way to see how your passengers will enjoy the ride. Take the family for a test drive around town and find out how much space you have and how comfortable the drive is. Is there enough room for my family and I, plus cargo? Does it have enough power to tackle my needs? Do I like how it handles and is it fun for me to drive? Our Toyota dealer near Atlanta has a long list of Toyota models from which you can choose. The 2018 Toyota Tacoma is the only vehicle in its class that comes standard with a pre-collision system, a lane departure alert system, adaptive cruise control, and automatic high beam headlights. Meanwhile, U.S. News & World Report recently deemed the Toyota Prius to be the Best Hybrid Car for the Money. Standard Toyota safety features you’ll want to get to know on your test drive include a backup camera and rear parking sensors, as well as full-speed collision warning with automatic emergency braking, adaptive cruise control, lane departure warning, a blind-spot monitor, front parking sensors and rear cross-traffic alert. The skilled sales staff at Toyota of Newnan are experts at finding the Toyota vehicle that’s right for you. Come visit us at our 2 Herring Road location in Newnan, GA – 35 miles southwest of Atlanta – where we can set you up for a test drive in one of our new Toyota models and answer any questions you might have.